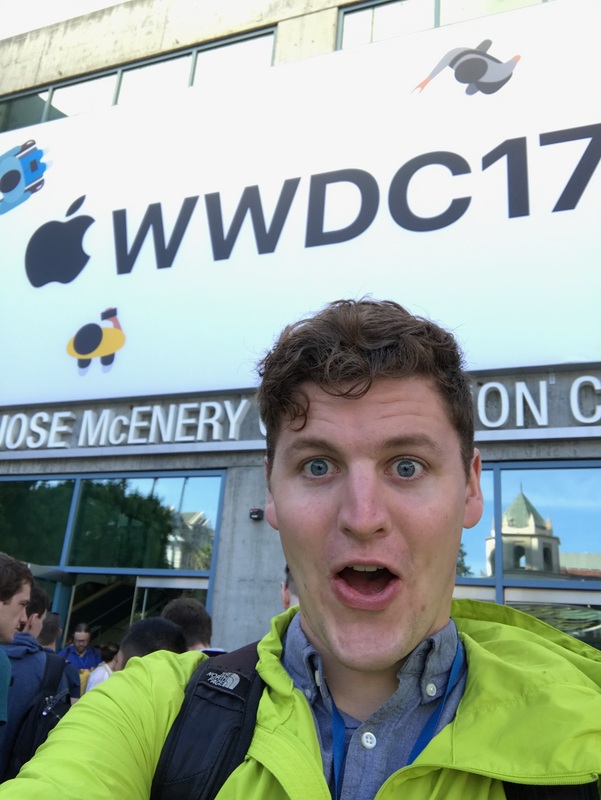 Thoughts on my second time to WWDC - held in San Jose for the first time in 15 years! 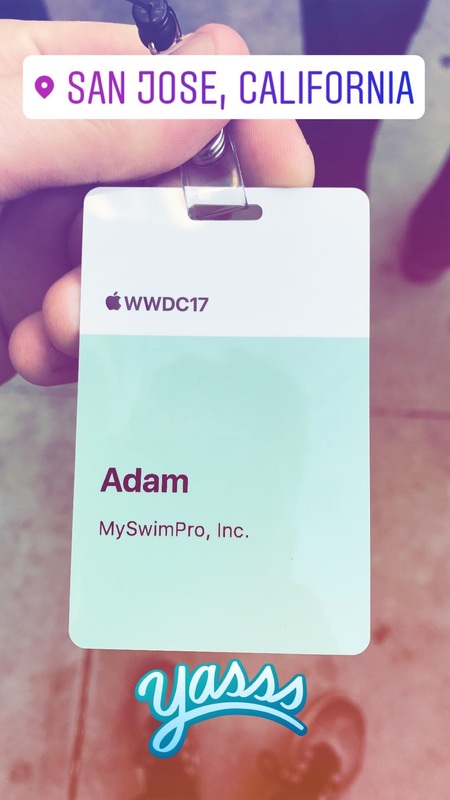 I was lucky enough to be able to attend WWDC again this year and rep MySwimPro. You can read about my experience from last year’s conference here. It was in San Jose for the first time since 2002 and even had hardware announcements! There’s a lot of cool stuff coming to watchOS and iOS 11 this fall, including a handful of swimming improvements that MySwimPro will be taking advantage of! We were thrilled to be named by Apple as the Best Watch App of 2016, and we’re excited to implement these enhancements! There were some awesome additions to iOS 11, but lets cut to the chase with watchOS additions! Apple has added the ability for third-party developers (like us) to turn on the Water Lock. We plan on using this to automatically turn on Water Lock when you start a workout, preventing the screen from accidentally being touched when your hand enters the water. This will greatly improve our options for developing the UI on the new watchOS, making it more intuitive for athletes, and easier for us to code – and easier coding means less bugs. Here are some other workout improvements coming in watchOS 4 – I’m looking forward to them! Developers can enable screens to rotate, so you can share your set with your swimming partner! iOS 11 improvements are mostly in the form of user-facing features: iPad workflow improvements, a new App Store, and a redesigned Control Center. I am personally most excited about the new AR (augmented reality) and ML (machine learning) kits. They make it easy for developers to make AR-based apps and use machine learning algorithms right on the phone efficiently. They are somewhat basic right now, but have a lot of potential, especially since there are over a billion iPhones that have been sold – millions of which will immediately have access to these powerful toolkits for developers. I predict they will be built upon to be even more powerful, and a more essential part of apps going forward. A special shoutout to the improvements in Xcode 9 that will make it significantly easier to develop apps. A completely rewritten source editor, wireless debug mode, and more that will make it easier to ship new features! Every day at lunch, Apple held a non-technical session to entertain or inspire the developers. They included a talk by Dr. Christine Darden, an inspiration for the member os Hidden Figures, a prominent member of the quadriplegic community, Todd (aka the Quadfather), and an amazing light show/dance number and talk by the CEO of iLuminate, Miral Kotb. 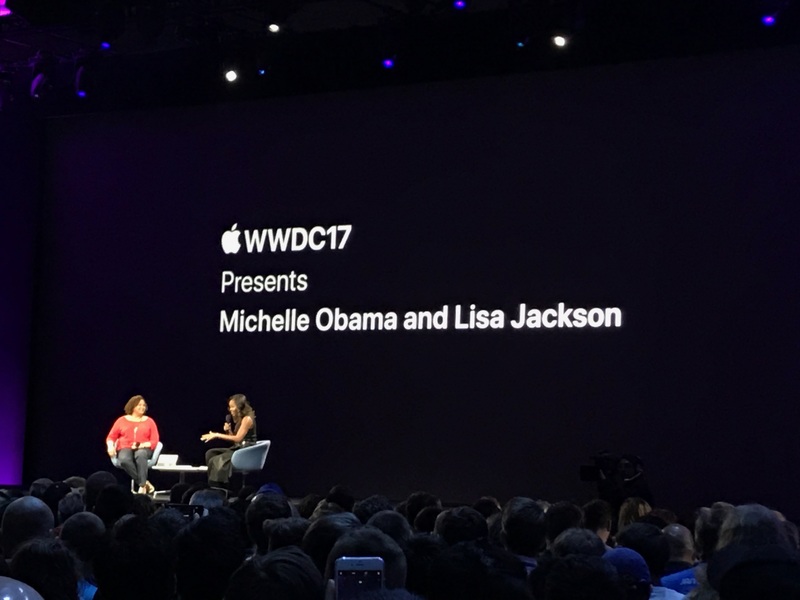 My personal favorite was not a lunch session, but the morning after the keynote: Michelle Obama. She gave an inspiring talk/Q&A session about diversity in the technology industry, leadership, and change through example. She is a gifted speaker and intelligent woman, and I feel lucky to have had the chance to hear her speak. You really had to be there to appreciate these events, but I give credit to Apple for giving more than just development talks to inspire us beyond just technically. WWDC 2017 in San Jose was an amazing experience. Apple is really all about the details: the music, the lunchtime sessions, and the scheduling were all on point. The swimming additions to watchOS are amazing- as are the improvement to developer tools. I look forward to seeing what we can build! If you’re interested in learning more, feel free to shoot me a message to adam@myswimpro.com.